As proud homeowners, we put a lot of thought into selecting the perfect paint colour, furniture and décor for our homes, but we often forget the importance of regular home maintenance. You’ve invested a lot of time and money in your home and outdoor space, and you want to make sure everything stays functional, beautiful and safe. Home maintenance can be costly and time consuming. 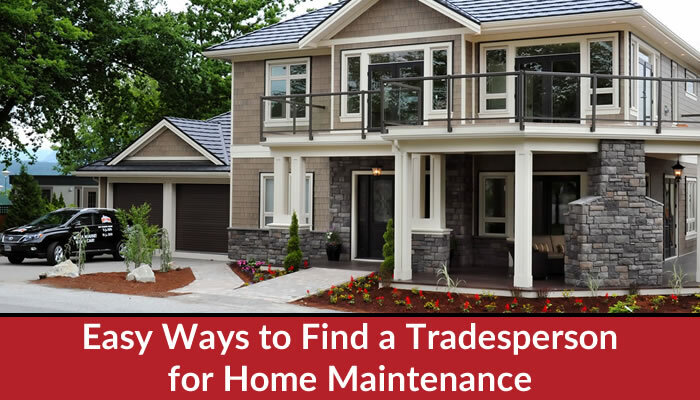 One of the best home maintenance tips I can give you is to compile a list of tradespeople. Just as you have a doctor, dentist and hairdresser for self-care, a mechanic for your car and a vet for your pet, having a list of reliable tradespeople is a must. Over the years I have compiled a list of tradespeople I can rely on, and they’re invaluable to ensure my home is in top running order. When I am out and about, people sometimes ask me if I know someone who can install a light fixture or faucet, power wash a sidewalk or clean blinds or window coverings. Through my own positive experiences, I can usually pass along a name or two. Friends, family members, neighbours and coworkers can be a great source of information and inspiration. However, rely on firsthand positive experiences rather than recommendations to hire someone’s uncle’s company or a contractor that a friend of a friend of a friend liked. Go online to find a tradesperson. Start by entering what you need in Google, for example “electrician North Vancouver”. This will bring up not only search results, but ratings and reviews. Also check rating sites such as Yelp. Beware of directory sites that promise to connect you with home maintenance professionals. While some may be reputable, many have no system in place to screen professionals and won’t help you if you have a complaint. Who Should Be on Your List of Tradespeople? I encourage you to do a little homework and put together a list for yourself, so that you aren’t searching for someone at the last minute – especially because certain situations such as an overflowing toilet, broken pipe or loss of electricity are an emergency. Feel free to add your ideas for tradespeople that should be on the list in the comments below. 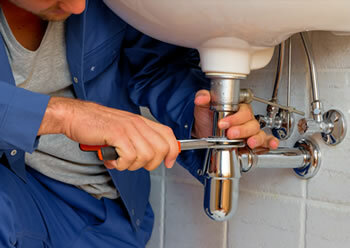 Another important home maintenance tip: in addition to making a list to easily find a tradesperson when you need one, you also need to do regular maintenance around the house. You can either take care of these tasks yourself or find a tradesperson to do them for you. Protect your investment and enjoy greater peace of mind by creating a list of tradespeople you can count on whenever you need them. You’ll have a go-to professional any time an issue or regular home maintenance issues comes up, plus you’ll have a coveted list of contacts that you can share with family and friends who ask you for recommendations! A Stroke of Genius is a full-service Interior Decorating Company in North Vancouver. Interior Decorator Barbara Aylesworth and her team can work with you on everything from Project Management and Renovations to choosing Drapery and Window Coverings. Contact us for a consultation to see what we can do for you.